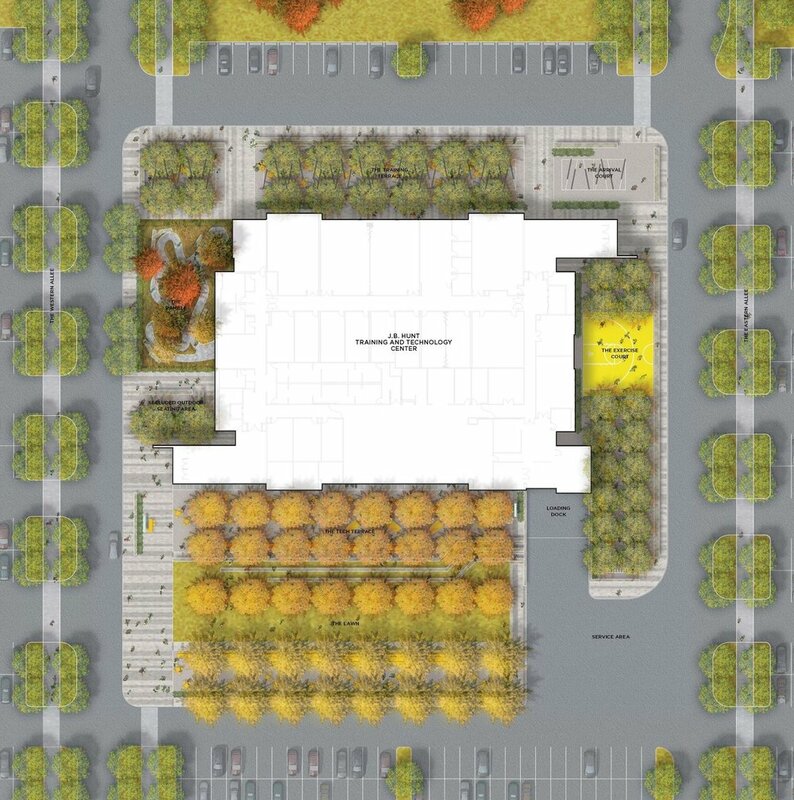 The design for the J.B. Hunt Training and Technology Center provides employees and visitors a 21st Century work environment, transforming underutilized spaces outside the building into hubs of activity that provide staff and visitors comfortable places to work, dine and exercise outside. J.B. Hunt selected OLIN, in collaboration with Miller Boskus Lack Architects to transform this new part of the campus into a destination for outdoor activity. OLIN worked to understand the values of J.B. Hunt employees and ensure their ideas were represented in the design. OLIN’s plan for the space, divided into multiple outdoor rooms, responds to the rigid geometry of the building, while at the same time providing a variety of unique outdoor space for all to enjoy. The design utilizes allees of trees to create a sense of enclosure and much needed shade. Will was the Lead Designer, Associate and Project Manager for J.B. Hunt while at OLIN.